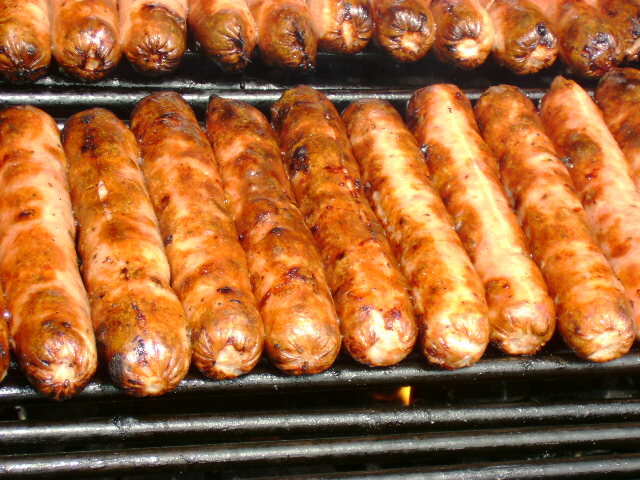 Pre-cooked Smoked Bratwurst – a pork sausage brat seasoned with pepper and allspice in a natural casing. Perfect for the grill and just the right size on a bun. 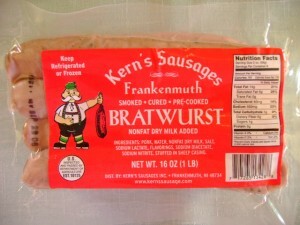 Try them with Kern’s Homemade Brat Sauce and a touch of Bavarian style sauerkraut for a Frankenmuth favorite. They are excellent browned as breakfast links. Pre-cooked Skinless Smoked Bratwurst – the same pork sausage seasoned with pepper and allspice but skinless. This version is slightly larger and plumps nicely on the grill. We serve this brat at our bratstand during Frankenmuth’s Bavarian Fest. 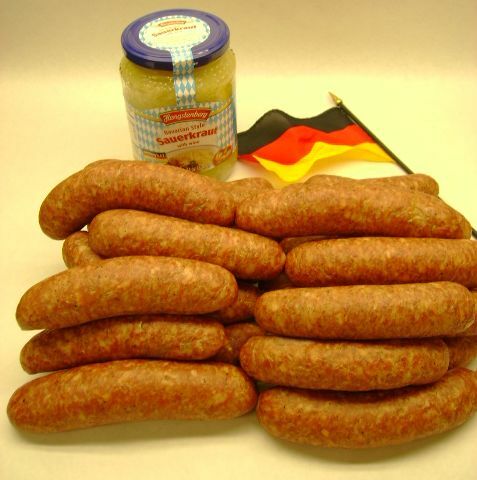 Smoked Bratwurst – a dinner style short plump link that is hickory smoked but not pre-cooked. We suggest simmering these in beer (or water) for 20 to 30 minutes and then finish browning them on the grill. Serve on a Kern’s Bakery bun for a tasty treat. For a German style dinner, cook them with your sauerkraut and potatoes. Important instructions: cook to 165 degrees internal temperature.